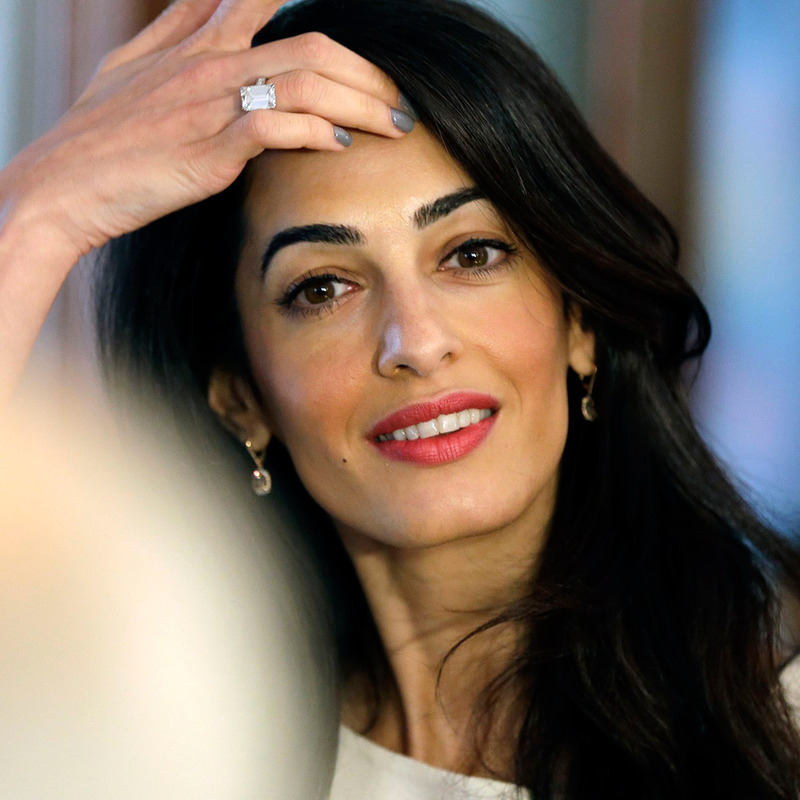 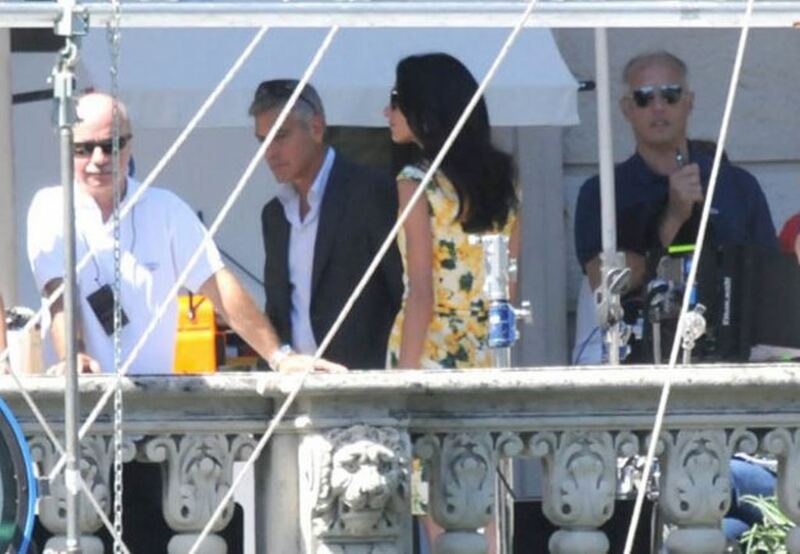 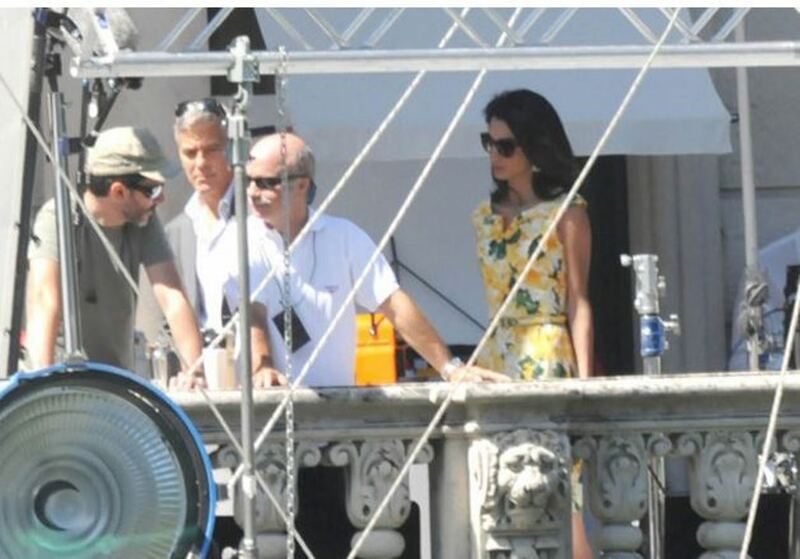 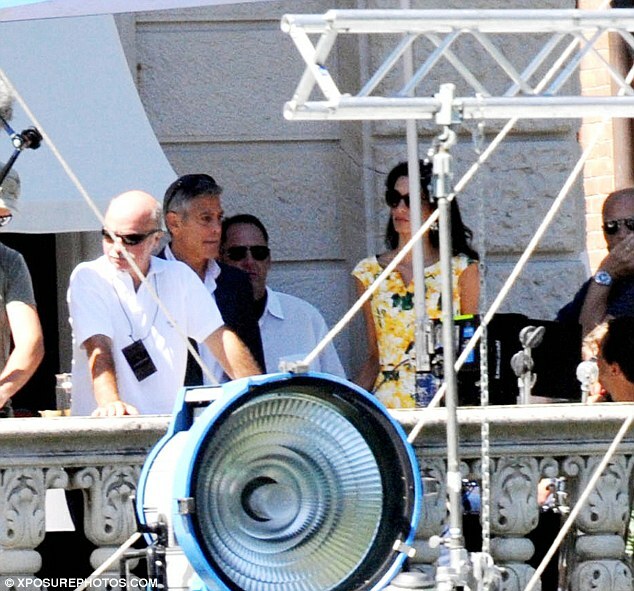 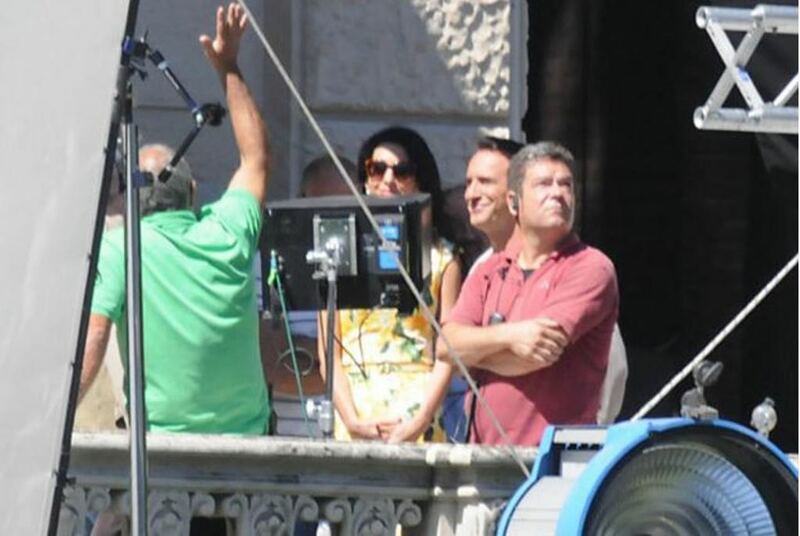 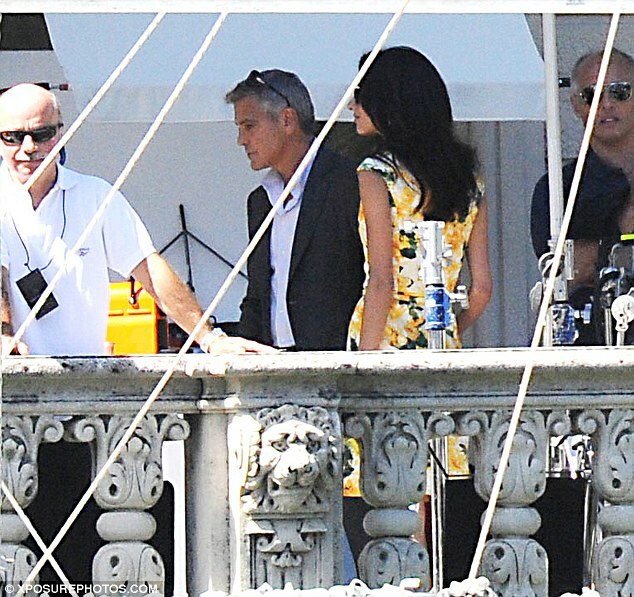 Amal Alamuddin offered George Clooney her support as he got to work on the set of a new advert for coffee brand Nespresso in Cernobboio, Italy on Wednesday. 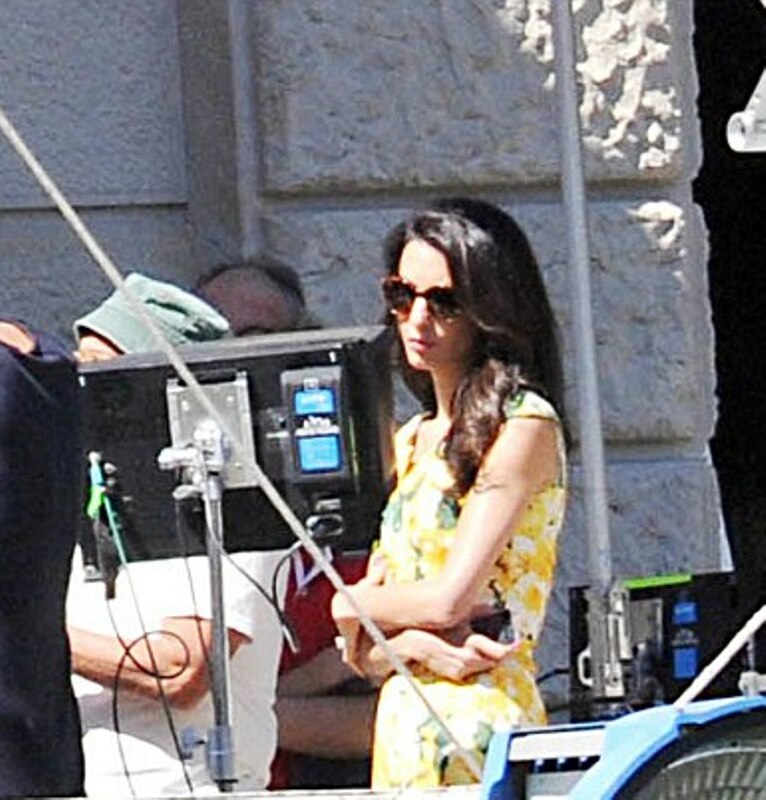 Amal was perfectly styled with sunglasses and a beautiful floral dress. 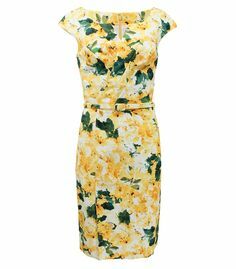 The dress is from Oscar De La Renta. 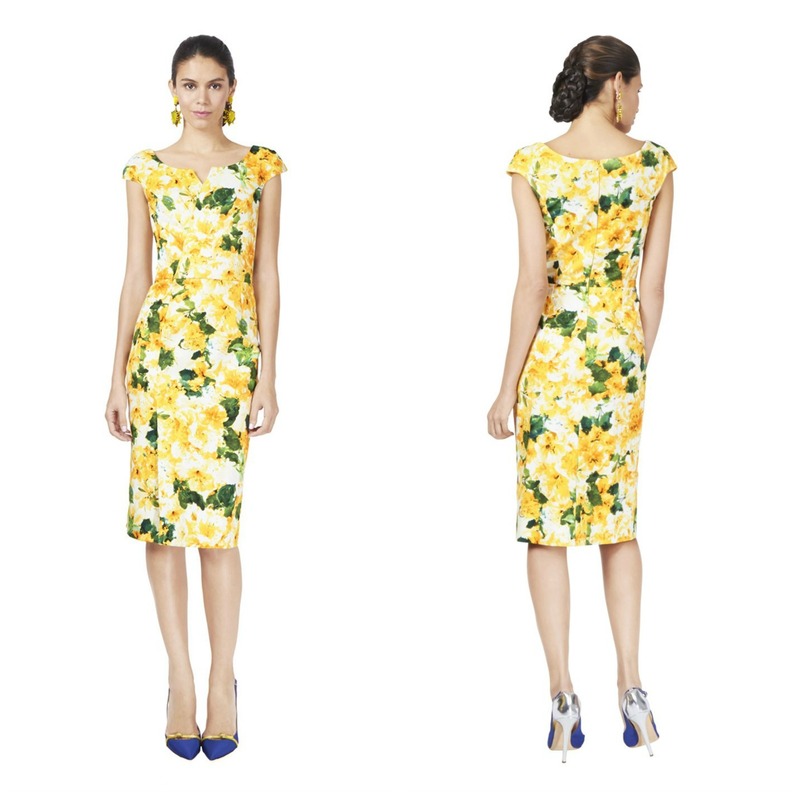 One dress is still available on Neiman Marcus. 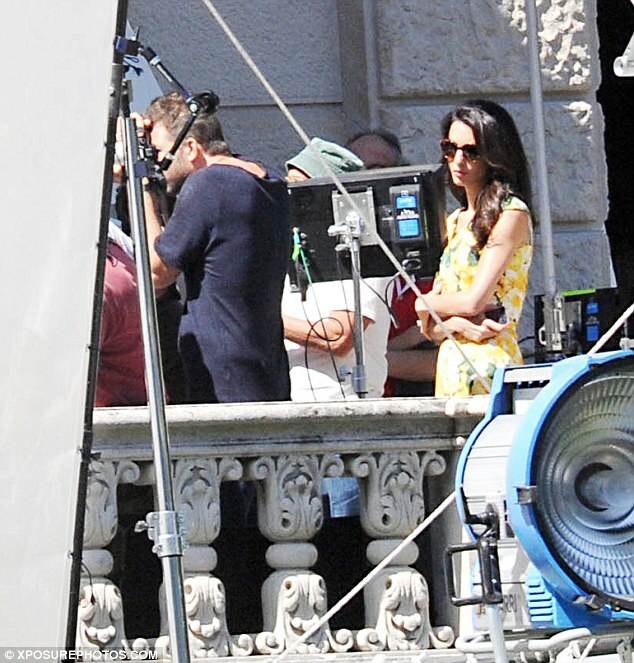 Amal looks gorgeous in this Oscar shift, if not a bit over dressed for the occasion given she is supposed to be a fly on the wall! 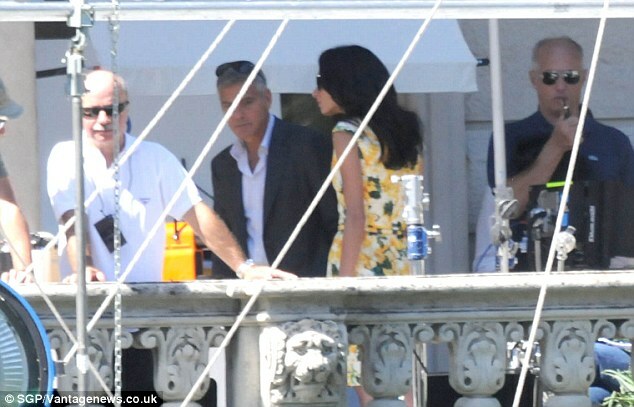 Would love to see the shoes she has matched the dress with, perhaps another pair of ODLR heels? 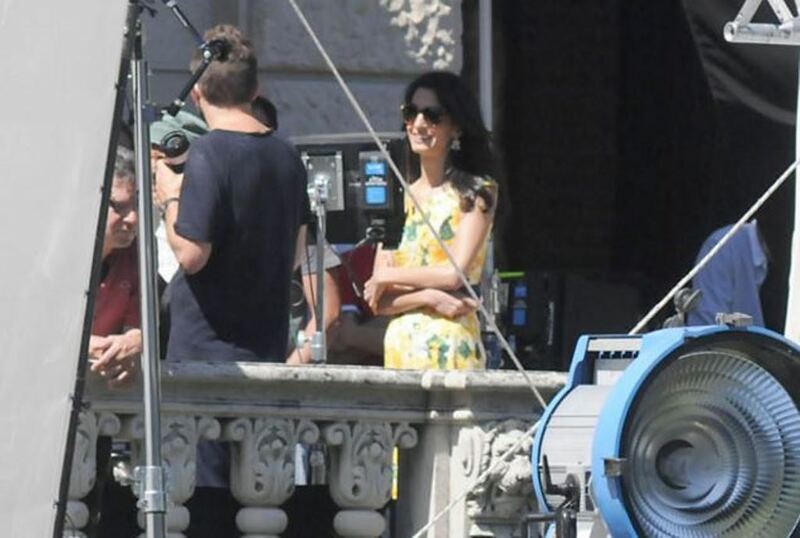 So lovely to see her in bright summery colours.